Springwell Learning Community is proud of having the highest standards of presentation for all students and their uniforms. We ask parents and carers for their full cooperation in this matter. 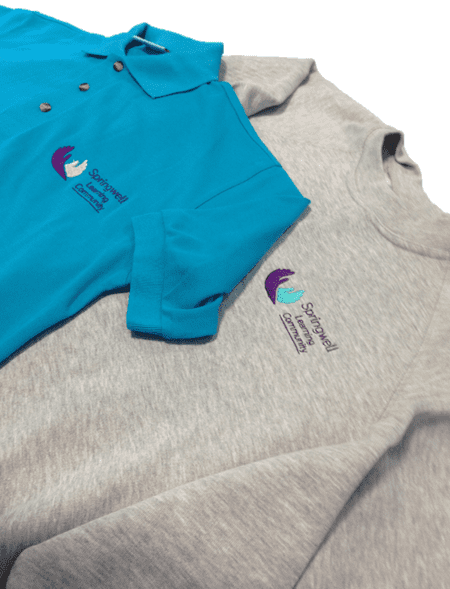 The school will provide all its pupils with their first two sweatshirts and polo shirts free of charge. You can find information below showing examples of acceptable uniforms. If you should require any more information or have any questions please do not hesitate to contact us. Please take a look below at some examples of suitable and not suitable School shoes. The Alternative Academy uniform is designed to provide clothing that is smart and practical at a minimum cost to parents.